Unicorn Digital (www.unicornrecords.com) is a progressive rock label based in Montreal , Quebec , Canada started in 2000 by Michel St.-Pere and to date has released about three dozen CDs. In addition, the label has co-sponsored the Montreal Progressive Rock Festival (www.fmpm.net) which had its debut in September, 2006 and is expected to continue on an annual basis. Until now, I had been unfamiliar with the label and its artists, but from what I can tell from these five recent offerings, Unicorn caters to same fanbase as other indie labels around the world such as Laser’s Edge (US), Musea (FR), and Record Heaven (SW). Which means many so-called ‘neo-prog’ bands, although given that ‘neo-prog’ is now more than 20 years old, I think it’s time we should start calling it something more appropriate, like ‘retro-prog.’ Perhaps that’s too much of an oxymoron, but I might be onto something, as one of the bands here thought similarly when they named themselves the Retroheads. In any case, as a (neo-)progressive rock fan myself, having bought Marillion’s ‘Script for a Jester’s Tear’ when it was brand new (on vinyl, of course), I’m not at all antagonistic to hearing more of it, as long as it features good songwriting and musicianship, and offers at least a little unique flavor. In that department, the five bands reviewed here generally satisfy those requirements, though none of them won me over completely. If made to choose, I guess I would finger Karfagen as my favorite, followed closely by Nil. The remaining three, while all offering some delightful elements and professionally made, all had one major flaw that kept me from recommending them. To summarize quickly in advance, Spaced Out I found too cold and impersonal, Ximena too often self-indulgent and pretentious, and Retroheads simply let down by stale production and particularly the drum track (no “balls”!). The label, though, produces high-quality releases with excellent artwork and graphics, and high standards for professionalism in musicianship, engineering, and presumably band support. Now onto the individual CDs, taken in order by catalogue number. The French band Nil (or Nile in English) is not to be confused with the original (late 1970s) Nil (aka Nyl) which featured Jannick Top of Magma fame. 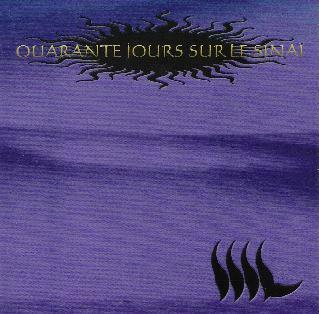 Just as with the original, the 21st century version of Nil has recorded an album with an Egyptian theme to match its name, with the hour-long “Quarante Jours sur le Sinai (40 Days on the Sinai).” Previously released on an obscure label elsewhere, the re-release of ’40 Days’ here follows a later studio effort (‘Nil Novo Sub Sole’) that was the band’s actual Unicorn debut. At the time, the core unit of Nil was a four-piece instrumental band, later inviting vocalist Roselyn Berthet (who appears here as a guest) to join the band outright. ’40 Days’ is some kind of intricately-designed concept album, annotated with great effort in the massive booklet (duplicated in both French and English), but it’s not easy to follow. It’s as if the track indexing and nomenclature here were determined by Linneaus or something. So we have the album divided into two major Parts, then into various thematic Chapters, plus Prologues and Epilogues, but the track indexing is handled separately and only coincidentally aligned with the underlying story. Well, it’s the music that really matters, so the bizarre indexing I can live with. Part One is comprised of the first 17 indexed tracks, with such a myriad of sounds and styles and instruments that it always keeps you guessing as what is to come next. Nil has developed a strong sense of attention to dynamics, mood, and style and I found it generally enjoyable to follow along. The lyrics are sung in French, and despite the translation I can’t fathom the mythological saga herein. Berthet’s voice is soft, feminine, and melodic and her contributions are important for letting the musicians take a break now and again from the constant key/time signature changes and abrupt left turns in the soundtrack. Throughout the album, a few other vocalists offer some atmospheric “Ahs” and such, and there is some narration done by bassist Samuel Maurin. Brother David Maurin is the group’s guitarist, but also plays flute on some tracks and this is also an excellent additional “voice” for the group in the quieter sections. A number of other guests appear on ’40 Days’ and so we also hear (soprano?) sax, cello, and what sound like harp and pipe organ. Much of the full-band sections are of the type of heavily-syncopated prog rock that owes a debt to King Crimson and the Canterbury scene. In addition to the herky-jerky rhythms and odd time signatures, we also get the circular riffing and wild solos that you might expect from the Fripp/Belew clan. Nil constantly switches back and fourth between these frantic bits and the more subdued backdrops for the lyrics/narration as well as for developing mood. Part One finally concludes with the highlight piece “Chapter Seven: Mri” (tracks 16-17) with Berthet’s singing taking on a more confident stance. After the melodic verses, wild guitar soloing, and faster proggy bridge section, the music thins out to a deft tete-a-tete between the circular licks from the guitar and the smooth fretless bass. Part Two follows a similar course, the prog-rock bits in the early stages (tracks 20-23) coming off much like Happy the Man. The final bit of Chapter Eight: Moses (track 26) is a simple ballad sung by guest Eric Vedovati with a deep, resonant voice. The Epilogue (tracks 27-28) turns darker with a sense of foreboding towards the end, while Maurin’s guitar work here shines with a series of rapid runs up and down the fretboard. The whole piece is a complex and impressive mismash of all sorts of sounds and rhythms, and I find it growing on me with each listen. Recommended. 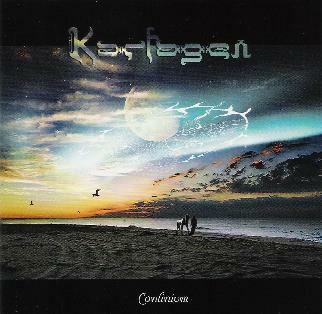 Karfagen is a keyboard-dominated Ukrainian group fronted by Antony Kalugin which has existed on and off for nearly a decade, though ‘Continium’ is just the second studio release and the first on Unicorn. In addition to Kalugin’s synths and keyboards, Oleg Polyanskiy is frequently heard on acoustic piano and organ. In the studio, the four-piece core group (also with drummer Kostya Sepelenko and Sergei Kovalev on accordion and harmonica) is joined by guests Roman Druid on bass and Roman Filonenko on guitar to fill out the sound. (Sepelenko apparently has both acoustic and electronic kits, although fortunately it seems that the e-kit was only used on two tracks.) So while the tracks are composed largely with attention to the synth textures and piano, there’s enough contribution from the guitar and other instruments that it never becomes too lopsided. ‘Continium’ kicks off with the two part ‘A Winter Tale,’ and quickly introduces some of the very fine synth washes and textures to be heard throughout the album. Eventually, the breezy melodic passages give way to some heavier riffing and big, majestic neoprog statements, and this continues into part two, which is quite reminiscent of recent works by English neo-prog stalwarts IQ. ‘Silent Anger’ follows up with its prog-ready 5/8 rhythm and, interestingly, accordion countermelody, and some flute lines (guest Georgiy Kalunin) in the background. While most of the album is instrumental, here we also have some additional vocalizations in a chant-like native folk style. Later, Polyanskiy contributes a strong piano piece entitled ‘All This I Think About You’ that reminded me of some Cyrille Verdeaux compositions from the 70s (with Clearlight). “Amused Fair” is a long three-part Marillion-esque suite with many interesting passages and warm, meadowy sounds. The album is fairly short, only 41 minutes (LP length), but most of the songs are very strong compositions with abundant countermelodies, fluid piano runs and guitar licks, and all the extra textures from the synths, flutes and occasional voices. The music is very much “prog rock,” but it often has a cosmic character and is generally happy, uplifting music without getting too sappy or ‘new-agey.’ There’s enough variety here within the tracks and between the tracks, too, to keep things interesting. A little folk dance number (“Marvelous Dance”) and the dreamy ambient “Muse” appear late in the album. The final song, however, the “bonus” track “Close to Heaven” is the exception, a bit of a let-down at the end, as it is a lyrical syrupy ballad with male/female duet vocals. This bit of melodrama at the conclusion isn’t enough to ruin the experience for me, as the first nine tracks are consistently strong enough for me to give ‘Continium’ a high recommendation. Despite the band’s otherworldly moniker, Montreal ’s own Spaced Out is not any sort of space-rock band, but rather a guitar/bass/drums power trio performing the kind of angular prog rock that owes much to the seminal King Crimson works of the 70s. Not that there’s anything wrong with that, it just is a bit surprising given both the band’s name and its choices of album art and imagery (here, a famous Hubble Deep Field image). Well, OK, the band also features some keyboard (or “programming” as it is indicated), but space rock is a largely “organic” genre IMHO at its heart (despite always embracing the newest technology), and here the synths are as cold and antiseptic as the punchy instrumental riffs that they accompany. Again, I don’t want to be over-critical here, as I very much enjoy bands like Tool and Magma that are eerie, cold, dark and foreboding. I just wish that the songs here induced the same sort of emotional response as those two top-name acts, and frankly they do not. Bassist Antoine Fafard is undeniably the band’s leader, being also the sole songwriter and even the studio engineer. Mark Tremblay performs all the solo and lead guitar (Fafard plays some guitar as well) and Martin Maheux is the drummer. ‘Unstable Matter,’ the fourth Spaced Out studio album and second on Unicorn, includes ten purely-instrumental tracks totalling about 46 minutes. The two-part “Art Attack” is probably the album’s most interesting piece, Part Two having the most memorable bits, though that may largely be because some of the underlying riffs are so reminiscent of other more-famous prog anthems (that I can’t quite recall at the moment). Ironically, the other interesting track is brief “Glassosphere, Pt. 4,” it being perhaps the wankiest of all the cuts here, but its ambitious rapid-fire circular bass riffing actually caught my attention, not unlike the aforementioned Tool. However, the finale that follows, “Singularity,” is a glorified drum solo without any sort of musical quality whatsoever, as drum solos tend to be roughly 99% of the time. 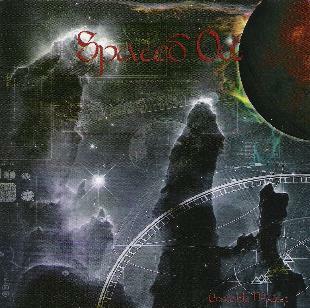 Though the quality of the musicianship is undeniable, Spaced Out here just lacks enough character to appeal to my ears, and as such, is probably my least favorite of these five Unicorn releases. Too many soulless passages like the frequent bass solos (high-pitched and twangy) and other bits of first-class wankery here and there. For more information you can visit the Spaced Out web site at: http://www.spacedoutmusic.com. 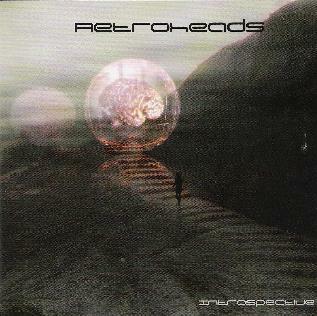 Norwegian band Retroheads is a relatively new entity founded by bassist/keyboardist Tore Bo Bendixen, and the hour-long ‘Introspective’ was recorded in his home studio in 2004. The seven-piece band features a trio of vocalists, one male (Mike Mann) and two female (Ann-Kristin Bendixen and Deborah Girnius). ‘Introspective’ starts out very impressively, kicking off with the big arena-sized prog anthem “Rainy Day,” a thickly layered and heavily syncopated composition. “Living in a Bubble” is yet better, a varied and extended track with a base rhythm carrying a lot of urgency, and a lot of tasty (Gilmouresque) soloing on guitar. The chorale-style vocals and glissando-ed synth textures are a bit too thickly applied for my tastes, but the punchiness of the rhythm section is enough to absorb them comfortably. Good start. However, following a bit of space-filler in the dreamy ballad “Black Hole Eyes,” the album takes a serious nosedive into the most egregious sort of self-indulgent rubbish. “One World” represents the kind of cringe-inducing political commentary that artists should be dissuaded from releasing. Bad enough that the lyrics and content are overwrought and preachy, the song itself is just a total mess, a disjointed amalgam of misfit themes and styles. MLK probably wouldn’t be proud that his famous words were sampled here, and the lounge jazz routine in the bridge is downright embarrassing. “I Turn to You” is another glurgey piece meant to tug at your heartstrings for not-so-obvious reasons, and again the chorus doesn’t seem to fit the rest of the song. Another political statement comes in the form of the anti-capitalism/greed rant “Slaves of Gold,” using more voice samples from various media spokespeople much less effectively than, say, Supertramp. Hey, I can sympathize, or even fully agree, with these sorts of political stances, but I don’t want to be bludgeoned over the head with this ham-fisted pandering while I’m trying to enjoy a simple rock album. Musically, many of the tracks have some really nice passages, but often a bit of sappy chorale vocals or over-the-top solo brings the songs down a notch. For example, the keyboard players use these awful slide-effects on their synths from time to time, as on those stupid “key-tar” devices or else the little wheel gizmo. But the worst problem is still that the Retroheads think they have a duty to politicize their music, as if they had something to say as poignant as Neil Young or something. They’re getting off the point a bit, methinks. For more information you can visit the Retroheads web site at: http://www.retroheads.com. 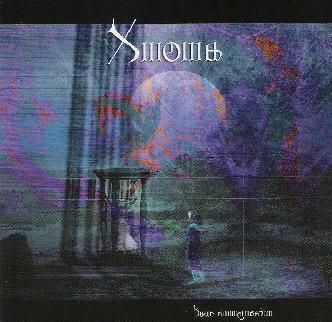 Swedish prog-rockers Xinema were founded in 1999 as Madrigal, but underwent a name change when discovering another band claiming the Madrigal name. So ‘Basic Communication’ is actually the second CD by the band, but the first christened with the new, more-likely-to-be-unique name. Xinema are a three-piece band, seemingly fronted by Mikael Askemur, who is the primary vocalist and in addition plays guitar, bass, and keyboards. Sven Larsson is on board to play all the lead guitar parts while drummer Jonas Thuren also supplies some of the lead vocals, but I can’t tell for sure on which tracks. The strongest aspect of the music is the vocals, as Askemur’s singing (I presume) has a strong, but soulful character not unlike that of Steve Hogarth, and actually has a better natural voice. And while the musicianship and songcraft here is also of acceptable level, the whole package is let down severely by the thin and bright production, including the use of an electronic drum kit and various synth-guitar effects that give the whole sound a very tinny sheen. It’s a similar problem that ruined things for me with Retroheads, but here the situation is much more easily salvageable as the failure is purely in the production side. All they need to do is just get down and dirty a bit and develop some actual ‘balls’ in the studio. “Colours” opens up and sets the tone for the whole album: a solid, uptempo prog-rock number, with a friendly melody and strong vocals, but the thin, synth-fuzzed guitar soloing (while technically impressive) is just too screamy and the e-snare drum is just too crisp and thin and always distracting. The guitar soloing in “Talk” is much better, and I liked the funky bassline and breathy singing that gave it a more No-Man or Roxy Music feel, but still I’m constantly fixated on the wimpy drums and cheesy pop production sound. “Speak to the World” is the first of the two obligatory long prog-rock suites, and it’s not half bad. There are the textural linking passages between the bigger majestic full-band statements, and a better use of dynamics between the spacey-synth atmospherics and some heavier guitar riffing. The other suite, “Ghost of a Memory,” in one sense a fine composition, contains the most egregious production flaws, where the ostensibly tension-building flourishes of rapid-fire riffing (think Queensryche) are ludicrously “twee” and belie any hint of darkness or edginess. I get the impression that Xinema might be a pretty decent band to see live on stage, where the antiseptic nature of their recordings would theoretically be replaced with a more masculine swagger - assuming of course Thuren played real drums and the soundman allowed the bass and mid-range to compete for prominence over the sickly bright tones that dominate here. A pretty good band here, that has simply produced a poor-sounding album of otherwise quality music. A shame, really. For more information you can visit the Xinema web site at: http://www.xinemaworld.com.